Testing is a process, where we verify and validate that the actual matches the expected. That’s one of the easiest way to put this complex process into wording. And automation basically means something which allows replacing man with a machine. The most basic example of automation is a “wheel”. Test Automation is a process where we automate the process of testing. Or in other words – Software test automation refers to the activities and efforts that intend to automate engineering tasks and operations in a software test process using well-defined strategies and systematic solutions. A lot of both commercial and open source solutions are available in the market out there. Commercial solution comes with hefty license fees, where as open source solutions are freely available. And there are a lot of differences amongst these solutions. Example of commercial solutions are – UFT from HP, RFT from Microsoft, Smart Bear from Test complete etc. Examples of open source solutions are – Watir, Selenium, Sahi etc. It supports multiple browsers like Internet explorer, Mozilla Firefox, Chrome. Selenium IDE is a Firefox plugin. It is used for recording and playback of scenarios. It allows us to save our tests in Java, Ruby and other programming languages. Selenium IDE doesn’t support by default usage of programming constructs and also doesn’t have support for reports. Selenium RC, also known as Selenium remote control, also known as Selenium 1.0 is one of the oldest component of Selenium which is no longer used now. Selenium RC works by injecting a java script proxy server in the browser and sends command to it, which then automates the browser and sends the response back. Selenium Webdriver is also known as Selenium 2.0. It works on the concept that browser own API can be extended to automate the browser. So each browser has its own webdriver which allows to automate the browser. 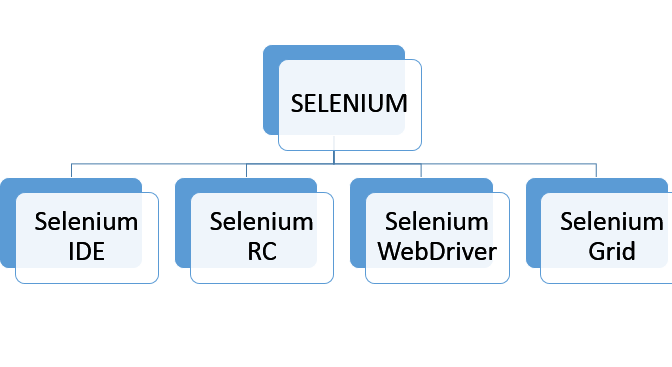 The selenium most common implementation is of webdriver. Selenium Grid, uses selenium rc in two modes hub and node. It allows the tests to run in parallel on different systems using same or different browsers. This allows to save time, the maximum time taken is the time taken by the longest test to run. It is also used for Cross browser testing. What is RPA (Robotic Process Automation)? IntelliX Software, Inc. We're looking for strong leaders across a wide range of career opportunities. 2014 IIntelliX Software, Inc. All rights reserved.